London fashion week illustrations project, tba. Well what do people think of my new title? rather pleased with it, i got help from the wonderful jessica on twitter and my boyfriend. 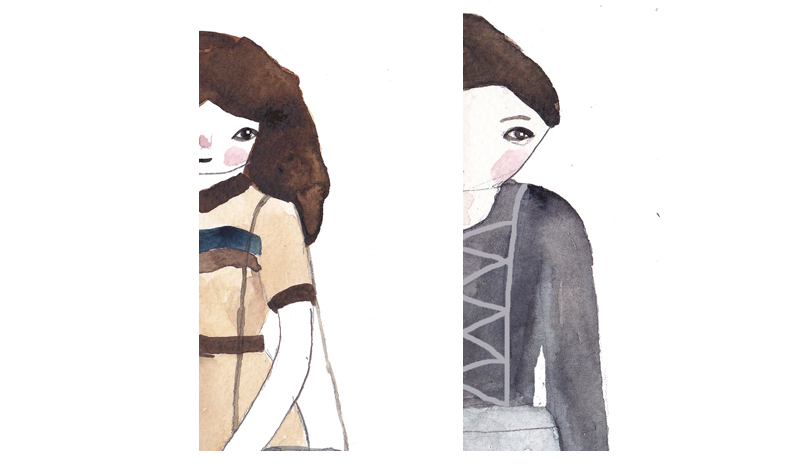 I have also been spending my day doing a little self initiated project illustrating a few collections from Lfw, everyone seems to be on about, i am so far through 4 designers and above you will see a section of two of my illustrations i have created for the set of designers i am working on. Busy busy working on a few creations also head over to my Ella masters shop for new pocket mirrors and other jewellery and illustrations. Love the new header. AND TBA pics thanks for introducing the clothes is beautiful! !